No matter how you feel about Lewis Hamilton off the track, it's impossible not to respect his talent behind the wheel. Currently, Hamilton is the second most successful Formula One driver of all time. His 67 wins and four championships place him only behind Michael Schumacher's 91 wins and seven championships. With all those winnings, Hamilton has racked up a decent personal fortune, much of which he uses to buy cars. Except he doesn't drive them quite as much as you might think. According to The Sunday Times, Hamilton's net worth of just over $207 million makes him one of the richest sports figures in the UK, just behind David Beckham. In a recent interview with the British newspaper, Hamilton gave some details on his personal car collection. His first car was a used Mini Cooper, soon followed by a Mercedes-Benz C200. Both have long since been replaced by a pair of original Shelby Cobras, a 1967 Shelby GT500, a Ferrari 599 SA Aperta, two LaFerraris (a red coupe and a white Aperta), a McLaren P1 and a Pagani Zonda 760 equipped with a manual transmission. All in, Hamilton has about 15 cars split between homes in Monaco and Los Angeles. Unsurprisingly, he has a Mercedes-AMG Project One (a car that shares more than a little with his F1 W09 EQ Power+ race car) on the way. Hamilton has some hot takes on his personal collection. 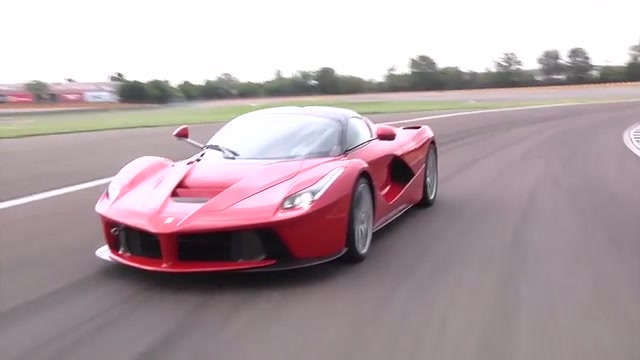 "The Zonda is terrible to drive," he said. "It's the best-sounding car I own, but handling-wise it's the worst. I got it in manual because I didn't like the tiptronic version. The tiptronic Pagani offered was worse than the Smart Roadster I had." He also says his Shelby Mustang is a "beautiful car, but a heap of junk." In order to keep the miles down (and valuations up), Hamilton apparently has a tow truck on retainer in Los Angeles. When he's finished driving one of his Ferraris, he'll have the car towed back to his place. Classic cars are becoming a solid and serious investment, and Hamilton doesn't want to squander his wealth like some other athletes. That said, there are a couple more cars Hamilton would love to own, including a Mercedes-Benz 300 SL (the one with the gullwing doors) and a Ferrari 250GT California Spyder (the one from "Ferris Bueller's Day Off").